While sampling water from the King Parrot Creek at Burslems Bridge the other day, we noticed this lovely little skink sitting motionless on the bank staring out at the stream, partly shaded by some native knotweed (Persicaria sp.). 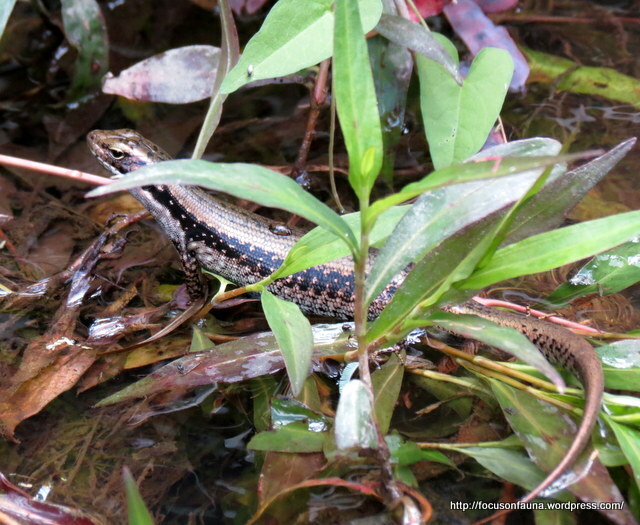 It’s a water skink, but the question is – which species? 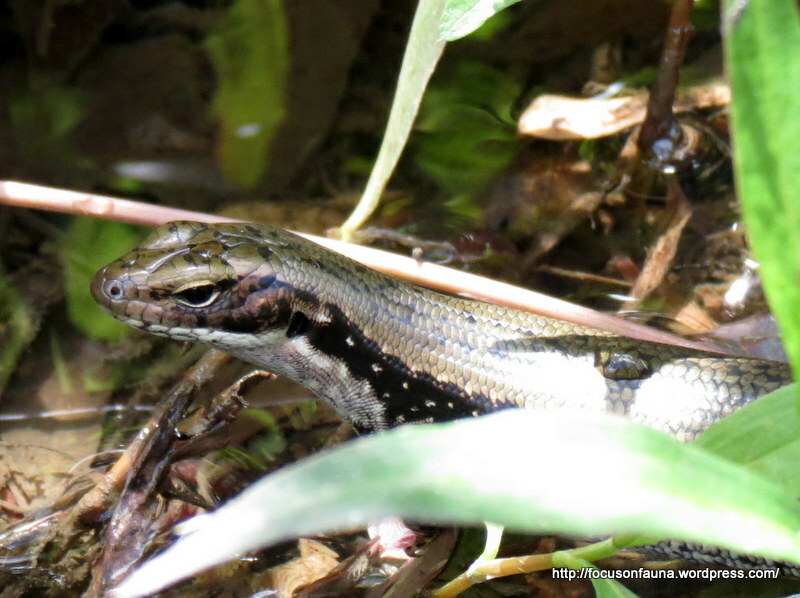 In a recent post on this blog (see Substituting ingredients) Ronlit featured a Yellow-bellied Water Skink (Eulamprus heatwolei) in his fanciful recipe. But according to experts we consulted, it is quite difficult to differentiate that species from the Southern Water Skink (Eulamprus tympanum tympanum). Both species occur in our area. The main distinguishing feature of the Southern Water Skink is a pale line around the front edge of its ear opening (tympanum), rather than black in the Yellow-bellied Water Skink. Other small differences in patterning on the back and under the throat can help with identification, but they are not always clear-cut in photos. It’s difficult to know in the field what to look for – it’s only after consulting references or experts back home that you find what features are significant. We will have a stab at this being a Southern Water Skink (even if just to be different from Ron), but would be quite happy to be corrected.